Your inner history buff will appreciate Timberline Lodge and Ski Area and Columbia River Highway. Appreciate the collections at Evergreen Aviation & Space Museum and Movie Madness Video and More. Change things up with these side-trips from Portland: Dundee (Sokol Blosser Winery & Bella Vida Vineyard). And it doesn't end there: steep yourself in history at Pittock Mansion, wander the streets of Ladd's Addition, admire the natural beauty at International Rose Test Garden, and look for gifts at Powell's City of Books. To find photos, reviews, ratings, and more tourist information, you can read our Portland trip itinerary planning website . San Francisco to Portland is an approximately 4-hour flight. You can also do a combination of train and flight; or drive. Traveling from San Francisco in July, you will find days in Portland are somewhat warmer (33°C), and nights are about the same (17°C). Wrap up your sightseeing by early afternoon on the 9th (Tue) to allow time for travel to Seattle. Chihuly Garden and Glass and The Museum of Flight will appeal to museum buffs. Pioneer Square and Christ Our Hope Catholic Church will appeal to history buffs. Take a break from Seattle with a short trip to Greenwood Memorial Park Funeral Home in Renton, about 42 minutes away. There's lots more to do: shop like a local with Pike Place Market, view the masterpieces at Glasshouse Studio, explore the world behind art at Seattle Art Museum, and don't miss a visit to Space Needle. 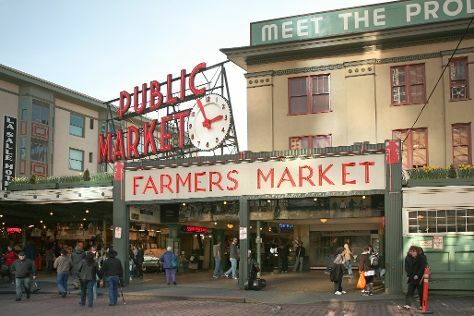 To find maps, where to stay, reviews, and tourist information, go to the Seattle day trip site . You can fly from Portland to Seattle in 3 hours. Other options are to drive; or take a bus. In July, plan for daily highs up to 30°C, and evening lows to 18°C. You'll have a few hours on the 12th (Fri) to wrap things up before traveling home.